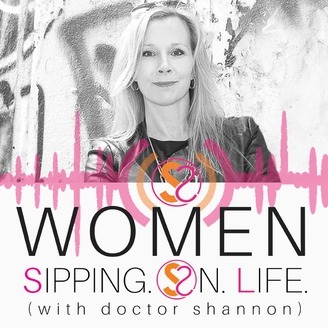 Women Sipping. On. Life. 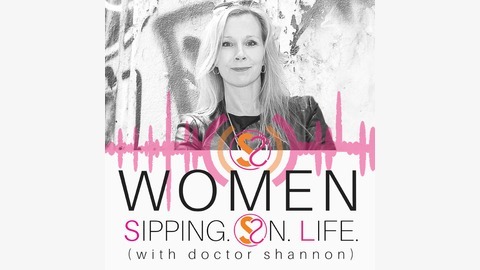 with doctor shannon is YOUR daily podcast for something new. Different. Satisfying. Soul quenching. Unscripted. LIVE. Practical Solutions. Powerful coaching that equips and empowers you to show up. Speak up. Step up. Step into your life. Fully engaged. Loving your life + life’s work well. Starting from the very first sip. Uncover and discover your TRUTH, so you can drink it all in. Live it all now. Naked. Unafraid. Unashamed. Unapologetic. Unconditionally loved. Heart + Soul. Become the great lover of your life. ONE SIP AT A TIME. Comfort yourself in those moments when you feel scared. And this, my dear, is how you begin loving yourself well. Where in your life right now do you feel scared? Write yourself a letter of comfort.